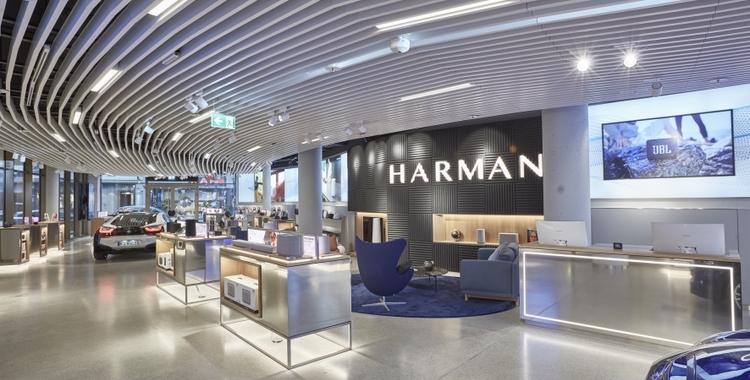 HARMAN has just inaugurated its very first Experience Store in Europe. Located at Sendlinger Straße 46, in the heart of Munich’s bustling central shopping district, the new location is designed to showcase HARMAN’s award-winning audio solutions and highlight how HARMAN’s rich heritage of craftsmanship merges with innovation and cutting-edge technology both in the store and in the products on display. The result? A truly unique experience where speed meets sound. Following the opening of the first flagship store in Shanghai in 2010, HARMAN went on to add such cosmopolitan locations as Tokyo and New York City. With its deep automotive roots, Munich was a natural choice for the first European Experience Store. The striking design features a 33.5-meter glass façade and a modern, dynamic environment that pays homage to Germany’s powerful automotive culture and legendary precision. Gensler Architects conceived the interior to imitate a sound wave guiding consumers from the front to the back of the store, offering an original retail experience that revolves around the visualization and emotion of a sound wave. The store features award-winning products from HARMAN’s brands including JBL, Harman Kardon and AKG. It features the complete audio portfolio including headphones, portable speakers, soundbars, voice-controlled speakers and much more. HARMAN’s automotive audio business also has a dedicated area in the store with a rotating selection of vehicles equipped with state-of-the-art sound systems from HARMAN’s automotive portfolio including Harman Kardon, JBL, Bang & Olufsen, and Bowers & Wilkins. An additional Luxury Audio Studio will be introduced later in an adjacent space, where audio enthusiasts will be able to enjoy and explore products from HARMAN’s exclusive luxury brands like Lexicon, Mark Levinson, and Revel. 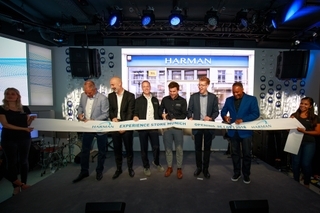 Pushing the experiential dimension a step further, the Munich Experience Store will enable visitors to interact not only with HARMAN’s products, but also with regular musical events, celebrity appearances, car launches in collaboration with automakers, and more. The space is also extremely versatile and offers the flexibility to be entirely transformed for various events including lectures, small concerts, parties, etc. 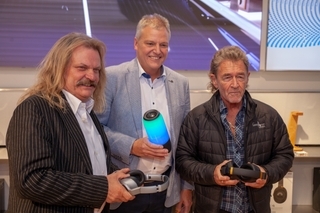 The opening of the Munich Experience Store was celebrated in high style with a festive VIP opening party bringing together customers and special guests including German music legends Leslie Mandoki and Peter Maffay. 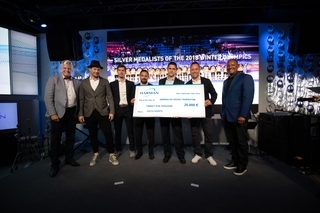 Among the highlights was the Charity Moment, wherein German National Ice Hockey Team Coach Marco Sturm and some key players from the silver-medal winning German Olympic championship team received a donation of 25,000 Euro to support Munich based Youth Athletic Organizations. The Munich flagship store is open to the public every Monday through Saturday from 10:00 a.m. to 7:00 p.m. Come in and experience sound like never before!